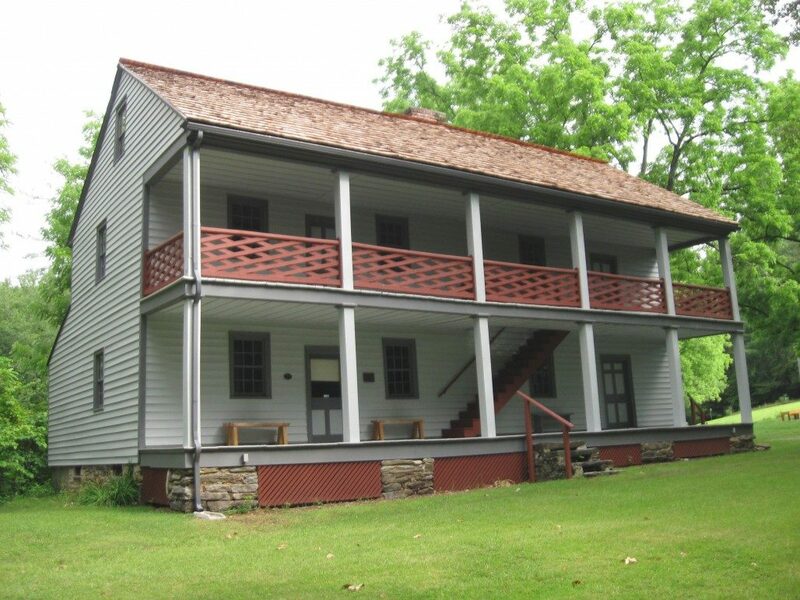 Join the HRI and members of the Transylvania County Historical Society from 9 a.m. to 2 p.m. on Saturday, October 27th for a day-long hemlock treatment workshop at the historic Allison-Deaver House in Pisgah Forest, NC. 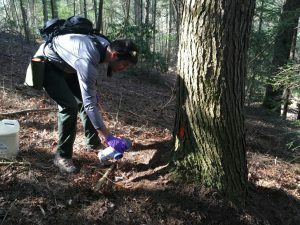 We will use the trees present on the property to demonstrate and explain a variety of methods to treat hemlocks available to all landowners in North Carolina. This day-long workshop is intended to give participants some hands-on practice with assessing and chemically treating hemlock trees. Attendees will gain valuable knowledge about managing trees on their own properties and, in the process, the trees at this historic home will receive protection from the deadly, non-native hemlock woolly adelgid for up to 7 years. It’s a win-win! Participants should be prepared to ‘get their hands dirty’ treating trees Please wear long sleeves and pants and bring a lunch. All equipment will be provided. We are also asking that participants plan to attend for the entire time. This ensures that everyone receives complete information. Registration for the workshop is required by Friday, October 12th. Email info@savehemlocksnc.org or call the HRI office at (828) 252-4783. An informational presentation will be held at the Allison-Deaver House on Sunday, September 9th from 2 to 3 p.m. Anyone is welcome to attend one or both events. However, the workshop on October 27th will not cover the information presented on September 9th. Attendance at both events is strongly encouraged.